I hate divorces. They tear apart families and bring out the worst in people who once loved each other. 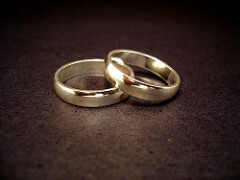 Unfortunately, more than half of the marriages in Arizona end up in divorce. I am no marriage counselor, but I can help business owners minimize the negative effects a divorce can have on their businesses. Without a written agreement in place, a judge will determine the value of your business and how to divide your assets. Most judges have little or no business ownership or operations experience. They are usually former prosecutors, public defenders or litigators. Although they try their best, judges are not the people you want deciding the fate of your business. It is far easier to come to a fair and reasonable agreement about how to value a business and buy out one of the spouses or divide the business assets when everyone is still getting along. Even the most decent and rational people have a tough time doing that in the context of a divorce proceeding. If you already own a business when you meet your future spouse, consider how you can protect yourself in the future. It’s not a difficult subject to think about, and it can be even more difficult to discuss with your significant other. Having that difficult conversation now – and your attorney can help you prepare for it – will save both of you a lot of stress and money if your marriage ends. If your business is yours alone, you most likely won’t want to hand half of it over. However, if your spouse helps your business grow during the marriage, they should get credit for that growth if you split up. How you sort out the details of that situation can get complicated, so should get your lawyer involved. If you’re already married and didn’t have your spouse sign a prenup, you can still protect your business by having your lawyer draw up a post-nuptial agreement that will protect both of your interests. This agreement will essentially be identical to a prenuptial agreement – it is just the timing of its drafting and signing that differs. Many business owners have partners. So, even if you don’t feel the need to protect yourself in the event of your divorce, you should be looking out for your partners so they are not dragged into your little slice of personal hell. To avoid many problems, you should have an agreement between the partners and their spouses as a group that allows the business or its owners to buy out a spouse’s interest in the event of a divorce. These are commonly called “buy-sell” agreements, and often are part of a larger agreement, such as an operating agreement (LLC), partnership agreement (partnership) or shareholder agreement (corporation). Effective buy-sell agreements make clear which spouse will be bought out, how their interest in the business will be valued, and how the interest will be paid for. Again, all of those issues are ones you want to decide and control, and not leave in the hands of a judge in a divorce case. Include in your agreement who will conduct the valuation of your business. Typically, an independent CPA (certified practical accountant) who has Accredited Business Valuation (ABV) or is accredited by some other agency such as the American Society of Appraisers, would conduct the appraisal and valuation. Your attorney and your spouse’s attorney should be able to recommend a firm that performs this accounting service. I understand that lawyers are expensive, and there is never a great time to write a check to draft an agreement you hope you never need to use. However, it is absolutely critical that you and your spouse each have their own attorney representing their respective interests when drafting a pre-nuptial, post-nuptial or buy-sell agreement. Why? First, everyone should have the benefit of getting advice from a lawyer who is looking out for only their interests. Second, it removes a lot of risk that an angry spouse may get a buy-sell agreement voided by a judge in a divorce case. One way angry spouses try to get out of a buy-sell agreement is to claim that they got bamboozled because they did not have their own lawyer review it and advise them on it. So, if you think it is expensive to pay for two lawyers now, I guarantee it will be a drop in the bucket compared to what you will pay fighting over a business valuation or buyout in a divorce case.